Officials of the Nsukka Local Government Council in Enugu State have demolished shops and seized caskets in a bid to force traders to relocate to a new market. A News Agency of Nigeria (NAN) correspondent in Nsukka reports that the action was carried out by the council officials late on Wednesday. No fewer than 48 caskets belonging traders to traders at Aku Road, behind Bishop Shanahan Hospital were said to have been seized by the council officials with 10 shops also demolished. The traders have been having a running battle with the council officials, who have been forcing the traders to relocate to a place, called Nsukka Timber Shed. Speaking to reporters on the development in Nsukka on Thursday, Mr Benson Asogwa, Chairman of the Nsukka Association of Casket Dealers, said that officials of the Local Government Council raided shops and seized goods in a bid to force out traders. He said that the officials were led by a man identified as the chief security officer of the council and that they pulled down shops and carried away many caskets. “The council gave us only seven days’ notice before they pulled down our shops and packed our caskets and the materials we use in making the caskets. “The council team was led by the Chief Security Officer, Mr Uche Eze, in company of some policemen and Neighbourhood Watch operatives,’’ Asogwa said. But reacting to the development, the Chairman of the council, Chief Patrick Omeje, said the council had given the casket makers quit notice since January this year, to relocate to the Nsukka Timber Shed Market. Omeje explained that the council had followed up with several letters and held series of meetings with the traders for them to see reason to relocate but that all the effort yielded no positive result. “It’s not a good thing that anybody who entered Nsukka town the first thing he or she will see is lined up caskets. 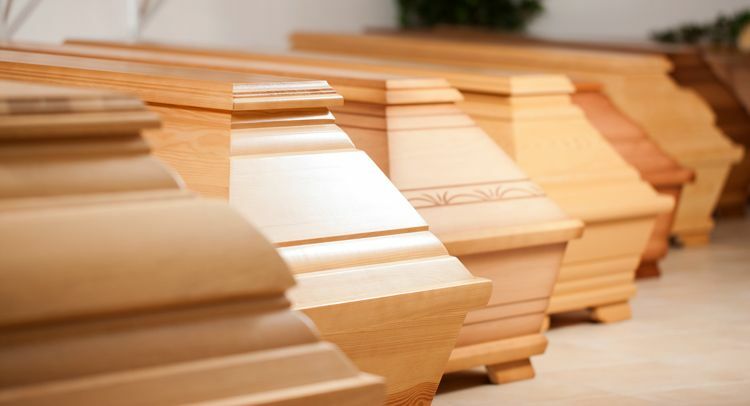 The council boss pledged that as soon as the casket makers agreed to move to the Timber Shed Market the council would release the 48 caskets confiscated by the council. Omeje said there was a law enacted four years ago by the council that compelled the casket dealers to move to the Timber Shed Market. “The council is ready to partner with them provided they obey the directives of the council,’’ he said.